I have this computer what for some reasons wont install USB Smartcard readers. I have tried different smartcards but they wont help, also i tried to install drives manually but still wont work. I uninstalled and installed drivers many times. Change the 'Windows Driver Foundation - User-Mode Driver Framework' from 'Manual' to 'Automatic'. Also the error from events. I found something like this. Should i try it or would it be easier to just format the computer. Its a work pc and it wont take long time, there isnt that much stuff on it. 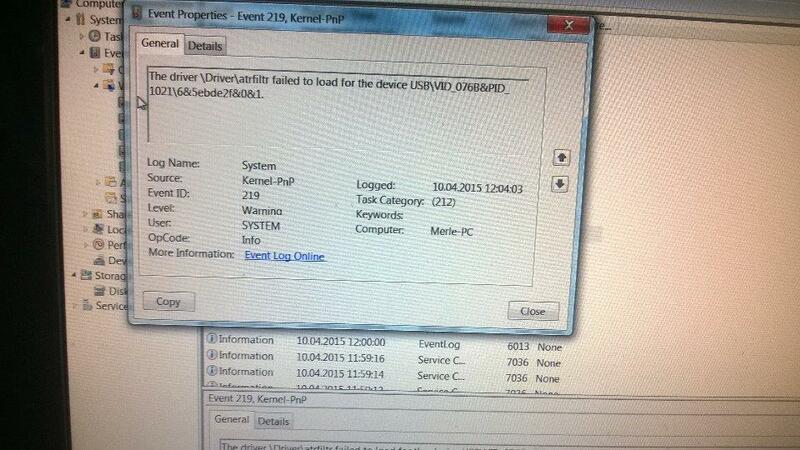 Update Chipset and USB controller Driver. It would be helpful if you can send us a screenshot of Device Manage while Card reader is connected. When connecting USB smartcard reader it says driver installation failed. I dont have a screenshot right now and it would be tricky to get one but i tried everything in Device Manager and its not the problem. I tried installing drivers manually from the driver properties.